Here is the email, from Jason Norris of Podcast Local, which is part of OnTheGo.FM. If you haven’t planned episode 101 yet, consider this. Showrunner 101 sounds like a college course. And usually courses like that cover the basic, foundational knowledge needed before moving forward. I see it as a way to go back to basics, explaining again what a showrunner is (or even redefining based on doing 100 episodes and lessons learned). In this episode, we go back to the basics and discuss what a showrunner is, and the important difference between a showrunner and a podcaster. 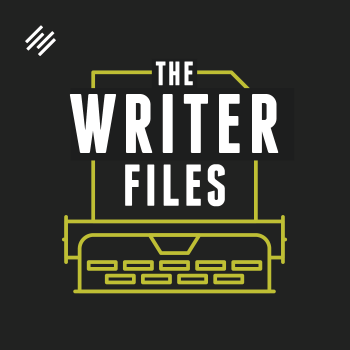 We also break down the four essential elements (or pillars) of a remarkable podcast and discuss how our thoughts on them have changed since we launched The Showrunner. If you’re a longtime listener, this will serve as a useful review of our core concepts — with some new ways of looking at them discussed. And if you’re new to the show, this is essential listening to make sure you understand the basics of what being a showrunner is all about. 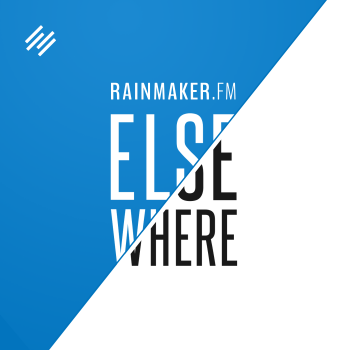 Jerod Morris This is Rainmaker FM, the digital marketing podcast network. It’s built on the Rainmaker Platform, which empowers you to build your own digital marketing and sales platform. Start your free, 14-day trial at RainmakerPlatform.com. Welcome to The Showrunner, where we have one goal: teach you how to develop, launch, and run a remarkable show. Ready? Welcome back to The Showrunner. This is episode number 101. 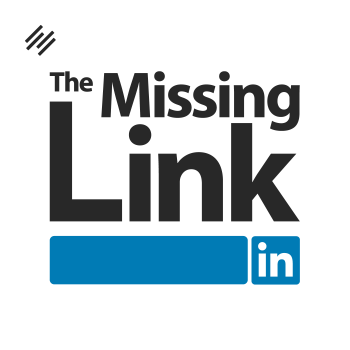 I am your host, Jerod Morris, VP of Marketing for Rainmaker Digital. I will be joined momentarily by my Big-Lebowski-t-shirt-wearing co-host, Jonny Nastor, the host of Hack the Entrepreneur. It’s a great t-shirt, Jonny. Very well done. The Showrunner is brought to you by the all-new StudioPress Sites, a turnkey solution that combines the ease of an all-in-one website builder with the flexible power of WordPress. It’s perfect for bloggers, podcasters, and affiliate marketers, as well as those selling physical products, digital downloads, and membership programs. If you’re ready to take your WordPress site to the next level, see for yourself why over 200,000 website owners trust StudioPress. Go to Rainmaker.FM/StudioPress right now. That’s Rainmaker.FM/StudioPress. Jonny, how does it feel? Episode 100 is now in the rearview. We embark on our next 100. I’m excited. Jerod Morris: Here we go. Jonny Nastor: Brand new. 101. Jonny Nastor: I like it. It feels good. Jerod Morris: Yes. We got an email — earlier today, actually. We hadn’t decided yet what we wanted to talk about for episode 101, and wouldn’t you know it, we got an email from a loyal listener who had a great idea. This email came to us from Jason Norris. Jason is the host of Podcast Local, which, exactly how it sounds, is a podcast about local podcasts. If you are thinking about or are in the process of running a local show, I highly recommend Jason’s show. Again, it’s called Podcast Local, it’s part of OnTheGo.FM. Jason has a ton of experience. He was producing radio and on the air on radio for 20, 25 years before he got into podcasting. He has a ton of experience. Highly recommend his stuff. Now, Jonny, you may not get the Vince Lombardi reference. Or do you? Jerod Morris: It is. It’s a sports reference. He’s one of the great coaches in the history of football, but was very much about the basics and attention to detail and all of that. So that’s what Jason is suggesting that we do, that we use this Showrunner 101 episode to go back to the basics, review the basics, and even talk about if any of those basics have been redefined for us after doing 100 episodes of The Showrunner — and obviously many more episodes of our other shows. What do you think? Does that sound like a good idea? Jonny Nastor: Yeah. And as a lesson of what not to do, because we received this email hours ago and we hadn’t planned episode 101 yet. Jerod Morris: No, we hadn’t. Jonny Nastor: We were right in the middle. You had just Slack’d me like, “What should it be about?” I was like, “Oh, I’m just doing this stuff.” And you’re like, “Maybe it could be about that.” And now this comes hours … Just perfectly. Really you should be planning ahead a little bit more than we are right now, but this works out well, because this is the perfect topic for 101. Jerod Morris: It is. So let’s hop in and let’s talk about this, Jonny. Let’s go back to the basics. Obviously the most basic element is the name of the show: Showrunner. What is a showrunner to you? Our definition when we began the show is basically the person in charge of an audience experience. This is clearly a term that we took from television. That’s where the term originated. Vince Gilligan, the showrunner of Breaking Bad. The guy who — it’s his vision. He’s obviously not doing everything. He’s got a team of writers. He’s got a team of people that are helping him with it. But ultimately he’s the one responsible for executing that vision that he has for the audience experience that he’s creating. We wanted to bring that to podcasting as a way for people to think of themselves in a bigger, bolder way. That you’re not just creating a series of individual audio episodes, you’re creating an experience for an audience. And hopefully you’re creating a remarkable experience for an audience. We have our four pillars of a remarkable audience experience to talk about — and maybe even redefine — here in a minute. I’m curious if after 100 episodes your thoughts on what a showrunner is, what that term represents, if that has changed at all. To me, a podcaster is somebody who has something and they just want to talk about it. There’s no real vision of this audience experience and also creating something bigger than yourself. Whether that’s getting help with editing and publishing, or whatever that happens to be. Or even just thinking bigger and thinking beyond yourself towards the audience experience. To me, the freelancer is the podcaster. The entrepreneur, or the person who wants to build this bigger thing, is the showrunner. So whether you’re the producer of a show, a podcast, or a business, you’re the person in the middle. It’s your vision, your entity, but you get help and you utilize as much as you can with the vision of always making it bigger so that you can affect more change on more people. Jerod Morris: Yeah, making it about more than just the audio episodes. Having a community that people can become a part of. Having a course, maybe, that your podcast is leading people to. So your podcast is part of something that people can experience more than just the episodes that are coming out, essentially. Jonny Nastor: Yeah it’s really a mindset shift going into it. Not just, “I’m a podcaster.” It’s like, “No I’m a showrunner, and this is my experience for my audience.” I love that. I think coming in and getting started … If you haven’t even recorded one episode, starting with that mindset really sets you apart already within the marketplace. Jerod Morris: Kind of the Steven Pressfield idea of turning pro. You’re not just putting out an episode here or there, trying this out, or just doing some episodes. A showrunner has a schedule, and they stick to their schedule. They have respect for their audience and they communicate with their audience. They take it seriously, like Steven Pressfield talks about. He puts on his work boots and he goes to work as a writer. The same thing for the showrunner. You take it seriously. One of the reasons why I like the TV analogy to a certain extent … It’s funny, because this isn’t as much of a TV analogy anymore, but it used to be with television — you knew that Seinfeld was going to come on at 9:00 on Thursday nights. You know that Monday Night Football is going to come on at the same time every week. The funny part about it is TV has changed. The on-demand nature of television has made it less important what time your show actually airs live. In fact, some of the best television doesn’t even air live. The point is, you know when it’s going be there. You know House of Cards is coming out at the end of May. You know where it’s going to be. You know it’ll be there. You know where to go to watch one episode or to binge the whole thing. There’s a commitment made and a commitment kept, and I think that’s another big part of being a showrunner. It’s like with The Assembly Call. We are showrunners. People expect us to be there. As soon as every game ends, we’re going to be there. We’re doing a radio show simulcast Thursday night, we’re going to be there. We’re not just there one week and not there the next. That’s being a podcaster. The showrunner takes that responsibility a little bit more seriously and treats it like a professional. I think that’s another big distinction. Jonny Nastor: Well said. I never actually knew that whole showrunner thing before with TV until we started this, but I love the idea of it with podcasting and the on-demand nature of it, so it works. Jerod Morris: The ultimate goal then, if you’re a showrunner, is not just to create an audience experience. Because no matter what we’re doing, we’re creating an audience experience. It’s whether we’re creating a good one, a bad one, one that they’re going to be indifferent to, or one that’s going to be transformative. The word that you and I have always liked to describe the experience that we’re trying to create is remarkable. When we first got started, we came up with four pillars for a remarkable audience experience that, to us, when you understand what these four pillars are and when they are a part of your show, this is what allows you to create a remarkable audience experience. Not just a remarkable audience experience at a point in time — that would be a remarkable episode — but a remarkable audience experience over time that actually leads to something and builds something. Those four pillars are authenticity, usefulness, sustainability, and profitability. There are then three elements within each one. So I’m thinking maybe we go through each one of these and let’s talk about what they’ve always meant to us and see if those have changed at all. I think this would be good review, certainly for people like Jason who have been listening for a long time. It’s a good review and a chance for you to go through the checklist in your own mind and say, “Okay, am I being authentic? Am I making sure I’m useful? Am I creating a sustainable show? Is my show profitable?” in the different ways we’re going to talk about with profitability. If it’s not, that’ll be a signal that you need to adjust something that you’re doing. If you’re a new listener to The Showrunner, maybe you haven’t heard us talk about these. This would be a good chance for you to be exposed to them and then go through the same thing, either with the show that you’re already producing or the show that you’re planning, making sure that you’re thinking along these lines. I really think if you take any of these four pillars out, your show is going to crumble. It may not crumble immediately, but it will certainly crumble at some point in the future. That’s why I think all four of them are important to know, understand, and then actually implement. What do you say? Should we go through these? Jonny Nastor: Let’s do it. Jerod Morris: All right, let’s start with authenticity. This has to be the foundation of any remarkable podcast. When we talk about authenticity, there are a few different elements that are important here. Number one, you’ve got to know yourself. You’ve got to understand what topics you can talk about with knowledge and with enthusiasm that aren’t just going to get you through 7 to 10 episodes, because almost any of us could get excited about a podcast for 7 to 10 episodes and create some good content. What will keep you going to 50? What’ll keep you going to 100? When the going gets tough, what do you love to get up and talk about, or interview someone about, or experience content about? You’ve got to understand that. If you have that authentic connection to your topic, it’s the first step in eventually creating the connection with your audience. And that’s the next step, is knowing your audience. So it’s about really understanding who they are, what challenges they’re facing, what fears they have, and what goals they have. In a lot of ways, this may be because you were this person at one point in time. Maybe you’re only a few steps ahead of them right now. You don’t have to be miles ahead — some ridiculous expert — to be able to create an authentic connection. In fact, sometimes it’s better if you’re just a few steps ahead because you remember what your audience is going through and you can relate. That really allows you to create that great authentic connection. Then it’s about understanding the intersection between the two. A lot of times we talk about authenticity as if me getting on here and telling you about all the problems of my day — “Wow, that was really authentic.” No, that would be transparent. Being transparent is meaningless if you the listener don’t get anything out of it. We want to be authentic, not transparent. To me, authenticity is about me taking the experiences that I’ve had and the knowledge that I’ve gained in whatever I have done that is relevant to this discussion and sharing that with you in a way that you can then take and use to overcome a fear or achieve a goal. That’s an authentic connection. Knowing yourself, knowing your audience, and then understanding the intersection between the two is how you build that authentic connection. Obviously, you can’t just do it for one episode, you’ve got to do it over time. We’ll talk more about that coming up, but that is how we’ve always defined authenticity. Jonny Nastor: So authenticity — knowing yourself, knowing your audience, and then understanding that intersection between the two — this needs to be understood as a moving target. Knowing yourself, obviously, is a lifelong thing that we go through. 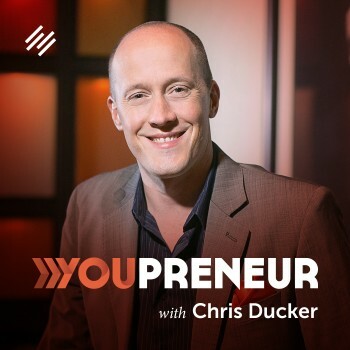 But knowing your audience … If you are at the stage of putting out your first episode or your first 10 … At the beginning, Jerod said, “10 episodes, or 50 episodes, or 100 episodes.” You’re going to learn to … This is how it was for me with Hack the Entrepreneur, I got a way different and better understanding of my audience at episode 50 than I did at episode one. At episode one, you have to take your best guess. It’s all you can really do. Then you have to make sure you put in place ways to understand your audience as you’re building them. What it is you’re doing for them. Same with knowing yourself. You don’t have to necessarily … I think we all — with that whole starting with a certain amount of bad radio in us — there’s a certain amount of episodes or recordings in this process where you’re going to go and you might not even be that true authentic radio version of yourself, or showrunning version of yourself, and that’s not a reason to not start. You have to push through and get … The more you do it, the more you get comfortable behind the microphone and the more you get comfortable with your audience that you’re building, the easier it is and the closer you’ll actually get to knowing yourself and knowing your audience. Then, obviously, the understanding of the intersection between the two is going to change as the other two change. This is a fluid thing that I don’t think will ever change for me as a showrunner, no matter how many episodes I put out of Hack the Entrepreneur. Shows go through evolutions and cycles, and maybe even revolutions where things completely change. An audience can come from different places, and maybe what I want from it — the authentic version of it — will actually evolve as well, and that will attract a different audience. So don’t get stuck thinking that you need to know this right now. The goal is authenticity, but it doesn’t have to be a bullseye from episode one. Jerod Morris: Absolutely, that’s a really good point. We talked about authenticity. The next pillar is usefulness. We can’t ever forget that our episodes have to be useful. We can’t just put anything out there and expect it to connect. This is where we’ve really got to have respect for the investment that our audience makes into our content. We put our content out there for free. It’s freely available, people have it for free, but it’s not free in the sense that there’s no investment made to consume the content. People are actually investing their most scarce resource, which is their time, to listen to our episodes. Our episodes have a headline, which is a promise, and the content needs to deliver on that promise so that people get what they’re coming for. There are different types of usefulness. A podcast episode can educate, like this episode right now. The primary element of usefulness for this episode that we’re producing right now is to educate. We want to educate you on what a showrunner is and on these four pillars. An episode can educate — it can also entertain. We listen to a show like This American Life to be entertained. I listen to The Bill Simmons Podcast, and yeah, I’ll learn some things about sports. But I’m not really listening to that to learn. I’m listening to that, typically, to be entertained. Like while I’m washing dishes and I want to shut my brain off, not think critically, I just want to be entertained. So you have shows that do that, and there are other shows that inspire you. 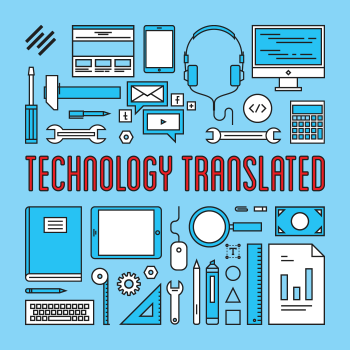 We hope that maybe the secondary element of usefulness in this episode is to inspire you while we educate you. There are tons and tons of podcasts out there that are all about inspiring you to be your best self, to be healthier, and all of those things. I think you want to make sure, at a minimum, that you understand what the primary element of usefulness is that your audience is coming to you for. If you think people are coming to you for education but you’re focusing on entertaining them by being funny, or doing things like that, people aren’t actually learning what they’re coming for — there’s a big mismatch. Now we go back to authenticity. You aren’t understanding the intersection between yourself and your audience. You’re not creating an authentic connection and you’re not being useful, so you are not going to be creating a remarkable audience experience. 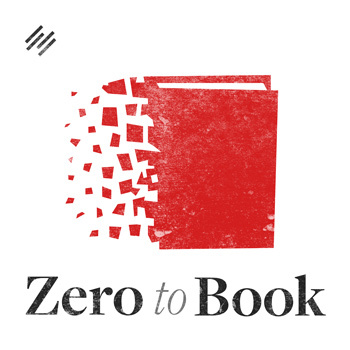 You’re creating an experience, but it’s not a remarkable one, or certainly not one where people are going to be remarking about your show in the way that you want them to. It’s really important to make sure that we understand these three different elements: education, entertainment, and inspiration. Really making sure we understand what the primary one is, and then, as much as we can, we want to work in the other two. If you have a show that is educational, you want it to be as entertaining and inspiring as possible, but you can’t entertain and inspire people at the expense of the education. That’s what’s important to remember, and that’s why this pillar of usefulness has to be at the forefront of your mind. Jonny Nastor: Yeah, this also ties back to knowing yourself. We all want to think that we can entertain or inspire, possibly. If we have an educational podcast … You have to know yourself. Just because you can think that you’re being entertaining into a microphone doesn’t necessarily mean that you are, and you need to be aware of that. You don’t need more than one of these to be useful. It’s education, it’s entertainment, or it’s inspiration. It doesn’t have to be all three. It really probably shouldn’t be all three, because that’s pretty hard to hit. If you can tie two in, that’s great, but just think about it as the one. I use this to overcome that blank page thing. If I have to write an email, if I have to write a blog post, or if I have to create a podcast episode and it’s just blank and I don’t know what to do, this is where I start. “Do I want to educate them, do I want to entertain them, or do I want to inspire them?” From there, you can frame what it is you’re building with how it is you want it to be useful to your audience. You don’t have to be stuck in one way. You can entertain some episodes, inspire some other episodes, and maybe educate some. It’ll all be fine to your audience, and you know it from the beginning and from the ground up when you’re building that content out. 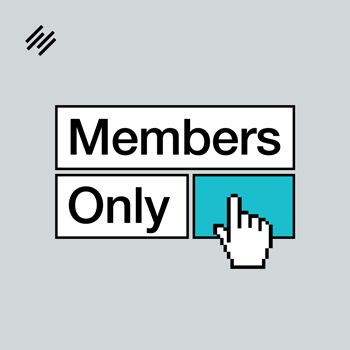 Jerod Morris: This discussion of usefulness has me thinking, “What is the most useful thing that I could say next?” What I want to say next is not so much inspirational or entertaining, but it’s really educational, and that is about StudioPress Sites. 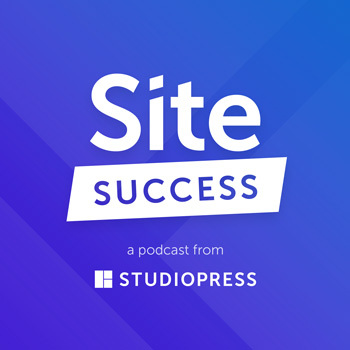 As I mentioned up at the top of the show, StudioPress Sites is the new turnkey solution that combines the ease of an all-in-one website builder with the flexible power of WordPress. 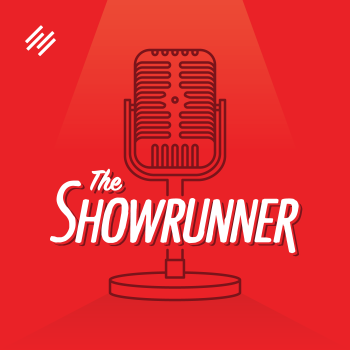 You’ve heard us talk about that on these episodes of The Showrunner, and you can learn more at Rainmaker.FM/StudioPress. One element of StudioPress Sites that we haven’t talked too much about, is actually the built-in SEO benefits of StudioPress Sites. I believe if you go to StudioPress.com/SEO, you can see a rundown of all the SEO benefits of having a site on StudioPress Sites. If you are a showrunner, the SEO benefits are obvious. You’re creating shows or you’re creating podcast episodes that are solving, ostensibly, some problem for your audience, or answering some question. Well where do people go when they have a question? Most of us go to a search engine and we type in a search to find the most relevant answers to our questions. That is a really important moment of impulse where, if your content can come up and surface for people at that moment when they have this question and you provide an answer, now you become a trusted source about that topic for that person. It’s a great way to build a strong relationship with an audience — an authentic relationship with an audience — one audience member by audience member by being really useful. All those elements are there with StudioPress Sites. 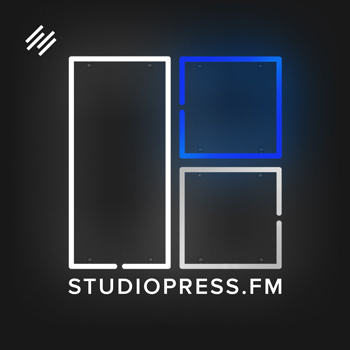 Add that to the list of reasons why you should check out StudioPress Sites, either as the place where you want to build your new podcast, or possibly as a place where you want to migrate your current podcast to. For more information, go to Rainmaker.FM/StudioPress right now. That’s Rainmaker.FM/StudioPress. All right, Jonny. We talked about authenticity. We talked about usefulness. We’re now going to talk about what I think is clearly the most simple of the three pillars to explain, but perhaps the hardest one to actually execute on. Do you want to walk us through sustainability? Jonny Nastor: Sustainability is that you have to show up. You have to show up reliably, and you have to show up reliably over time. People don’t just stop listening to podcasts. Tuesday morning, I’m on my way to work, Jerod told me that’s when he’ll be on my phone and I can listen to him on the way to work. He’s not there. I don’t just not listen to podcasts anymore, I just go find another one. It’s a really big hurdle — almost the same as the miraculousness of being found already the first time, because there’s tens of thousands of podcasts out there. Jerod goes onto another show. He subscribes to another show. He gets intrigued or entertained or inspired by another show. And next Tuesday, he goes back to that other show. All of your hard work that you ever put into it falls apart right there if you don’t show up reliably. You have to show up to get found. You have to show up reliably, and then you have to continually show up reliably over time. Jerod Morris: Here’s something that’s changed a little bit about how I think about this one. I used to think that the day and time that you showed up was really important. Like if you’re going to be there Wednesday at noon, then you need to be there Wednesday at noon every single week. I certainly think that’s important. I think that’s a really good benefit to your show if people can narrow down when your show is going to come up to that level of specificity, and you’re there every single week. There are very few ways that you can build trust with your audience like that. One of the main reasons why podcasting is such a great medium is because of that potential for connection and that potential for building trust. Again, every time that we make a commitment and keep that commitment, a little bit more trust is built. When we first started talking about this I was pretty staunch in, “Pick a day of the week, pick a time, and you’ve got to be there all the time.” I’ve since realized in how I consume podcasts, that I don’t really pay attention to the day and time that shows show up, but I do pay attention to them showing up reliably. Sam Harris’ show is a good example of this. A show that I listen to and really enjoy. It doesn’t come out at the same time every week. There’s no set day that I know it’s going to come out, but I know it’s going to come out. If there hasn’t been an episode in four or five days and I’m going through my podcast feed, I start thinking, “Hey, where’s that Sam Harris episode?” Usually it’ll come pretty soon after that. So that expectation is set in my mind and then it’s fulfilled. We know sometimes you can’t always stick with a schedule every single week at the exact time. Shoot for it as much as you can. But I donate to that show, I listen to that show, so I don’t want to overwhelm you with thinking the only way to be sustainable and for this to work is to show up at the same time, same day, every single week. It’s a great standard to shoot for, but it’s not absolutely necessary. What is necessary is showing up reliably, meaning there isn’t a four-week gap between an episode and then you’ve got two right in a row. And then a six week… You want to get into some kind of rhythm that people start to expect, and then over time you’ll start to build up that trust with people. Again, the closer that you can get to some kind of schedule, that’s great. That’s the one thing. If you are going to set yourself up to be like, “Hey, we’re going to be here every Wednesday at 10:00 a.m.,” then you’ve got to keep it. Now you’re setting that expectation, and if you don’t fulfill it, a little bit of trust erodes. So that’s one important thing to remember about sustainability, is be very careful with the expectations that you’re setting with your audience, because you need to fulfill those unless you want that trust to erode. It’s so hard to build trust. You want to do everything that you can to keep it. Jonny Nastor: Sam Harris has a massive audience obviously. Jonny Nastor: From how many books he’s written, and just from being on national TV constantly. When you’re building an audience from scratch … This is Showrunner 101, so you’re getting started and you’re trying to build that audience. Not only is sustainability important, as in being there and showing up reliably, on time, when you say it, but also the more you can show up and be there, the better your chances are of building and growing that audience. Jerod Morris: Yeah. That’s a good point. I will say, now that I’m thinking about it, some of the shows that don’t have a set schedule, like Sam Harris, Dan Carlin — there are some others — those shows have massive audiences. You can get away with that a little bit if your audience is that big. But if you’re new and starting out and you’re looking to cut through all the other shows and really take that next step with an audience, again, the closer that you can get to being there at a reliable time, where people can really count on you, it’s only going help you out. So that is true. What goes for shows that have been around for a while and where the showrunner themselves had a high profile when they started the show — what they do may not always work for you. We have to remember that when we’re starting out from scratch. That’s a good point, Jonny. 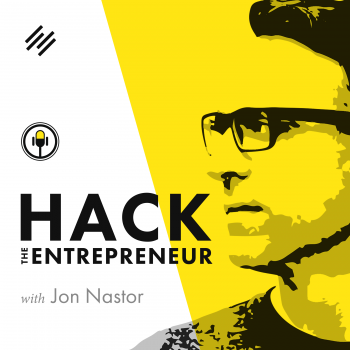 Jonny Nastor: Right, one thing I want to add to that is Hack the Entrepreneur wouldn’t have gotten to where it got as fast if I had done one show a week, or one show every two weeks. I decided to do three shows a week, and that probably allowed the show to grow at three times the rate that it would have. It’s why big blogs and websites put out a ton of content every day rather than one new blog post every three weeks. It’s not the fact that you think that maybe your listener and your audience is going to listen to every single one of your episodes. Every time they go to their phone to find a show — whenever that happens to be — if there’s new ones of yours with proper titling and you’re hitting the right pain points, there’s a way better chance that they’re going to listen to your show over something else. This is really crucial. The idea of thinking about sustainability is, think about how many shows you could possibly do in a week or in a month, at the max. But how many could you do sustainably over time and be there consistently? Don’t try and pull back, “Well I can do one every three weeks or something.” I don’t think it’s going to work for you. But can you do one a week, or can you do two a week and do it sustainably over a long period of time? 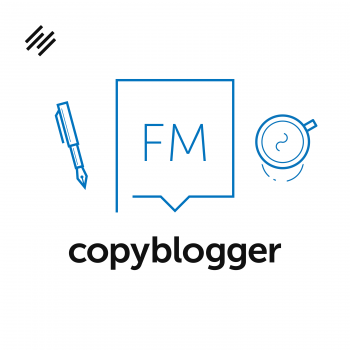 Even if those fluctuated throughout the week of what day those are on, but you do two episodes consistently … The more content in these ways — this is content marketing. If everything else is the same, as in the level of quality is the same but you produce twice as much of it, it is going to increase your odds of building an audience faster. I guess that’s how I was trying to picture it. I always want to push people to think about this and think about what you could sustainably do, and how much you could sustainably show up reliably over time before starting, but really try and push yourself. Don’t think about it like, “Well, maybe every three weeks.” Try and push yourself, but really think about it in the long term, not just right now or in the next month. Be realistic. Know yourself. Know what’s in your life and what else you have on your plate. Jerod Morris: Yep. All right. Let’s get now to the fourth pillar of a remarkable audience experience. We’ve talked about authenticity, we’ve talked about usefulness, we’ve talked about sustainability. Let’s say that you’re creating an authentic connection with an audience, you’re creating this useful content, you’re doing it over time, you’re showing up, and you’re showing up reliably. That should be it, right? That should lead you to success as a showrunner. It can, if you’re willing to infinitely put out these episodes. But ultimately, you’re going to need the fourth pillar. You might be able to get by for a little while with just authenticity, usefulness, and sustainability to create a remarkable show and build an audience, but ultimately you’re going to have to drive profit from the show. There are three different ways that you can drive profit. Look, if you’re not thinking about this at some point early in your show … You should think about this from the beginning, but if you’re not thinking about it at some point early in your show, your show is going to eventually go off the rails because you will lose your motivation for the show. There’s no other way around it. We’re not just talking about money here. Let me explain the three different elements of profitability. You’ve got direct profitability — that’s making money off of the episodes of your show. Maybe you’re selling advertising on your show. Like, Jonny, when you started you were selling an ad for FreshBooks on your show. On The Assembly Call we have ads for SeatGeek. That is direct profitability. You could also be selling access to the episodes themselves. Not a model that we necessarily recommend, especially when you’re starting out, because you want your episodes freely available in as many podcast players as possible. But like Marc Maron with WTF. I think he sells access to his archives. So that would be a way to directly profit off of the episodes themselves. The second way to profit is indirect. For most of the people that we talk to on The Showrunner, this is how you are profiting from your show. 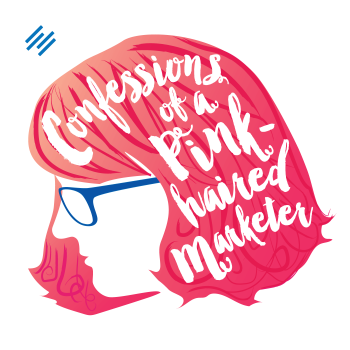 Your podcast is a part of your content marketing mix, and maybe you’re using your show to drive people to your online course. Or you’re using your show to drive people to your paid membership community, or to your paid ebook. Or to become a consulting client of yours. 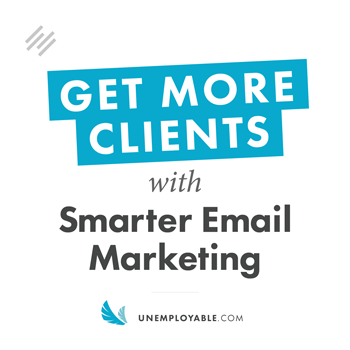 Or you’re using it as a networking tool to meet people who maybe can eventually hire you, or who could become partners, or who could eventually become sales leads. There are many ways to profit indirectly off of a podcast. The third way is intrinsic. This means that you are getting more out of the process of putting your show together than you’re putting into it. It takes time. There’s an expense to getting the equipment. An expense to hiring an editor, if you’re going to do that. Or an expense to learning how to edit, if you’ve never done that. Even if it’s just time and the blood, sweat, and tears of doing it, there’s a cost there. If you aren’t actually getting more out of it than you’re putting in, then you’re running at a deficit, and that can only go on for so long. It’s like with The Assembly Call. We didn’t make a dime off of The Assembly Call for the first three seasons of that show, and that’s a hard schedule to keep up. There’s 35 games. Showing up after every game and doing an hour-long post-game show … If my co-host and I — if we didn’t love the interaction with each other and then the community that started to build up around it, if there wasn’t that intrinsic profit there that we were generating, there’s no way that we would’ve kept doing that show. Now the nice thing is, when a show is built on intrinsic profitability almost as a foundation — this takes us back to that authenticity of knowing yourself. When you love the act of discussing your topic, Jonny, like you and I do with The Showrunner. We love talking about podcasting. We love preparing these episodes. We love exchanging emails with listeners who have thought about something that we have talked about and it’s helped them. We love all of that. There’s an intrinsic profitability there. It’s funny how when that is the foundation, the direct and the indirect profitability come with it. That doesn’t mean that you shouldn’t be intentional about it. Jonny, when you did Hack the Entrepreneur, you went out the door with a FreshBooks ad. 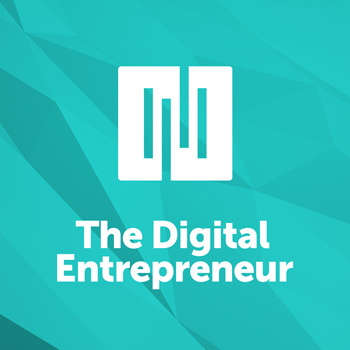 But again, what allowed for that to happen and allowed for that relationship to sustain and go on longer, and for Hack the Entrepreneur to grow, is there was an intrinsic profitability there for you of creating those episodes, talking with these entrepreneurs, and pulling out the hacks. You really got something out of it. So when we talk about profitability, it’s not just money. Although money is important, because your show is not … It’s going to be really hard to sustain your show if you’re always just putting money out and never getting anything in — either directly or indirectly. And you’re definitely not going to be able to sustain a useful show that’s building an authentic connection if you’re not profiting intrinsically from the show and from the experience. Jonny, have your thoughts on what it means to have a profitable show changed at all since we started talking about this? Jonny Nastor: Since we started talking about it today? Jerod Morris: No not today, just in general. Jonny Nastor: Well I don’t remember the intrinsic one being in there like this. I love this idea of that intrinsic profitability. Both of our shows, and even this show itself … It’s true, I don’t know if you could get that authenticity without that intrinsic profit. Without genuinely wanting to produce that content and to help that audience. That’s actually what’s going to drive the direct or indirect. The way it’s changed for me is that I’m focusing more on indirect profitability at this stage in the game, although direct profitability is there. Ads are sold out a couple months in advance and they’re there, but now I’m trying to find ways to maximize the indirect profitability of it because I’m fascinated by it. I didn’t start with the first 300 episodes like that at all, like educating, entertaining, or inspiring — where you should start as that as the foundation. I think you should start knowing if you’re going to be going for direct or indirect profitability, because I think it will definitely influence what it is you are creating. Some people really — I remember when John Jantsch from Duct Tape Marketing was on. We interviewed him on this show. 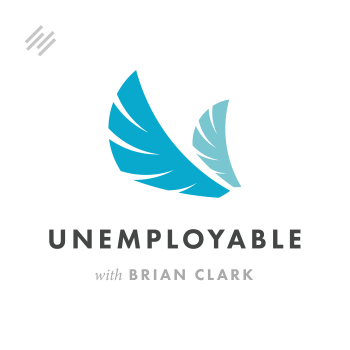 He talked about using podcast interviews to meet CEOs of companies that you want to maybe do business with and that are really hard to meet and get on the phone otherwise. “Hey, I’ve got a podcast. I would like to talk to you.” That was brilliant networking. You need to know. You wouldn’t go in and be also like, “Okay, how am I going to sell ad spots for this?” The profitability is coming from that indirect source of getting to meet those people, getting face time with them, getting to show them your expertise possibly, and then having that door open to you. I love that. It’s totally a good way to go about a show, if that’s what you want to do. Not everybody needs to have profitability in a direct and indirect way. I was really hyper-focused at the beginning on direct profitability and not so much on the indirect. So that’s the way mine’s changed, my perception of it. Now I realize that you can do both as long as you’re intentionally doing that. Jerod Morris: Absolutely. Again, authenticity, usefulness, sustainability, and profitability. We will put these in the show notes with the bullets underneath them so that you remember what the different elements of them are. I think this is a great opportunity to take a step back. If you have a plan for a show right now, really walk through and think about if what you’re doing and what you’re thinking about doing will that really create an authentic connection. Do you understand what the primary element of usefulness is that you’re going to talk about? Do you have a plan for sustainability? And what is your long-term plan for profitability? Again, in the beginning, the immediate way that you gain profit from the show could just be that you really want to talk about this, you just have this passion for the topic. I think a lot of the best shows start that way. A lot of shows that really sustain start that way. The beauty of it is, there are so many different ways to profit indirectly and directly that it doesn’t need to be intrinsic profitability that carries you for very long. It can carry you in the beginning, but there’s no need for it to carry you forever, because there are lots of ways to monetize the work that you’re putting in on your podcast. But again, as we go full circle, we talked about with authenticity, knowing yourself. Think about that. What is the topic that you would love to podcast about if you never made a dime from it? Just because you love the topic, you love the people that you’ll be talking about, and you love digging in and getting your hands dirty with that topic. What is that? I think that will set you up from the beginning to create a good authentic connection. Then, if you provide usefulness over time and you’re smart and savvy about learning the ways to profit directly and indirectly off your show, you can actually make money from your show — drive revenue to cover costs and even make a legitimate financial profit. Now, when you have that rolling along with authenticity, usefulness, and sustainability, you have a show propped up by these four pillars that will go on and can do great things. Our goal here on The Showrunner is to deconstruct each one of these and give you new tools each week that help you do that better so that you can become a great showrunner who’s running a remarkable show. Jonny Nastor: I love it. I feel like already the 100’s of The Showrunner is off to a good start. Jerod Morris: We’re off to a rip-roarin’ start. We are ready to go. Jonny Nastor: So if we follow the college theme, what’s Showrunner 102? I don’t know how college works in that way. I think that’s an American thing. Jerod Morris: Usually it goes to 201. Jonny Nastor: Oh, okay, jeez. Jerod Morris: You’ve got your 101 class, and then the next year you would take 201, so it would be a little bit more advanced. Jonny Nastor: Okay, so that’s in another hundred episodes. Jerod Morris: Exactly. We’ll get there. 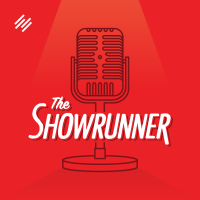 Hey, we’ve told you about this, but make sure if you haven’t done this yet, go to Showrunner.FM and get our free nine-step Beginner’s Guide to Launching a Podcast. It’ll help you learn different elements of becoming a showrunner, like defining your audience of one. Which is — we go back to authenticity and knowing your audience. Actually narrowing your audience down to a single person who is your audience is a great way to really get inside the head of your audience and understand who they are, what their fears are, what their goals are, and what their challenges are. We talk about that in this guide, along with picking your format. Six Paths to Direct Podcast Monetization is in there. Plus equipment and a bunch of other stuff that is in there that is really useful. It’s free. The Beginners Guide to Launching a Remarkable Podcast. Go to Showrunner.FM/Report. There’s also a really useful and thought-provoking email autoresponder sequence that you will get as well. So even if you feel like, “Well I don’t really need a beginner’s report.” I think there are some things in there that you could stand to benefit from, just as a refresher for those of you who are beyond that. The email sequence will ask you some questions that’ll get you thinking and help you go from that 101 level to that 201 level, which is ultimately what we want to help everybody do here on The Showrunner. All right, Jonny. Jonny Nastor: This was fun. Jerod Morris: We’ll be back next week. I’m excited. Jerod Morris: All right, talk to you all then.